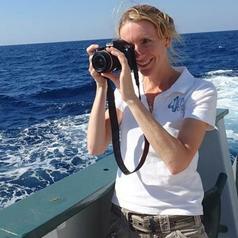 Cordelia Moore is a spatial scientist with a particular interest in marine conservation ecology. Her research has focused on both temperate and tropical marine ecosystems around Australia and Hawai‛i. Her work looks to improve the spatial management of marine species by examining species distributions, connectivity and identifying essential habitat (habitat necessary for reproduction, feeding and growth to maturity). With increasing concerns over the vulnerability of marine ecosystems to disturbances such as fishing, climate change and oil spills, this understanding is critical for maintaining ecological resilience. Her research allows for the identification of species, communities and areas of high risk, which in turn enables more targeted marine management.